Description: In November 1864, Maj.
Gen. John C. Breckinridge undertook an expedition into East Tennessee, anticipating that Confederate sympathizers would join his force and help drive the Yankees from the area. The Federals initially retired in front of this force and, on November 10, were at Bull’s Gap on the East Tennessee & Virginia Railroad. The Confederates attacked them on the morning of the 11th but were repulsed by 11:00 am. Artillery fire continued throughout the day. The next morning, both sides attacked; the Confederates sought to hit the Union forces in a variety of locations but they gained little. The next day firing occurred throughout most of the day, but the Confederates did not assault the Union lines because they were marching to flank them on the right. Before making the flank attack, the Union forces, short on everything from ammunition to rations, withdrew from Bull’s Gap after midnight on the 4th. Breckinridge pursued, but the Federals received reinforcements and foul weather played havoc with the roads and streams. Breckinridge, with most of his force, retired back to Virginia. This victory was a temporary Union setback in the Federal plans to rid East Tennessee of Confederate influence. The Battle of Bull's Gap was a battle of the American Civil War, occurring from November 11 to November 13, 1864, in Hamblen County and Greene County, Tennessee. 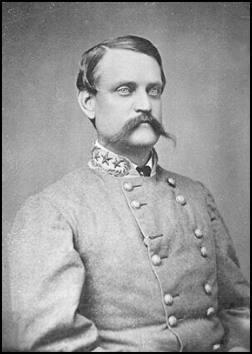 In November 1864, Maj. Gen. John C. Breckinridge undertook an expedition into East Tennessee from Virginia to secure the countryside for food and forage and to drive the Federals from the area. A Federal force under the command of Brig. 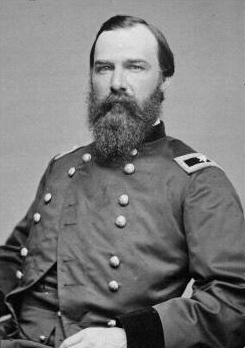 Gen. Alvan C. Gillem had advanced beyond Greeneville, but retired in front of the larger Confederate force moving out of Jonesborough towards Greeneville. In the hopes of protecting the rail lines to Knoxville, the Federals fell back to Bull's Gap east-southeast of Whitesburg on the East Tennessee & Virginia Railroad. On November 11, the Confederate forces attacked in the morning, but were repulsed by 11:00 a.m. Artillery fire continued throughout the day. Both sides launch morning attacks on November 12. The Confederates sought to hit the Union forces in a variety of locations but they gained little ground. On November 13, firing occurred throughout most of the day, but the Confederates did not assault the Union lines. The Union forces, short on everything from ammunition to rations, withdrew from Bull's Gap toward Russellville late in the evening. Breckinridge pursued the Federals on November 14 and engaged them near Russellville, causing a rout. The Federals fell back to Strawberry Plains (outside of Knoxville) where Breckinridge again engaged his forces. Federal reinforcements soon arrived and foul weather began to play havoc with the roads and streams. Breckinridge, with most of his force, retired back to Virginia. The Confederate victory at Battle of Bull's Gap was a setback in the Federal plans to rid East Tennessee of Confederate military presence.